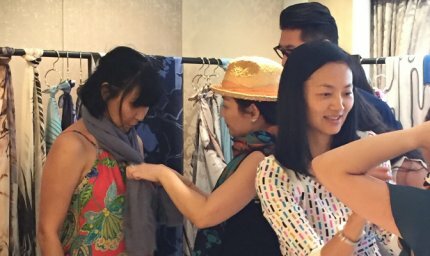 On 6th May 2016, moda SHU collaborated with Aberdeen Marina Club for another scarf workshop exclusively for the club members only. Over 30 members had a wonderful and relaxed Friday learning new scarf tying skills for welcoming the soon-to-come summer days. 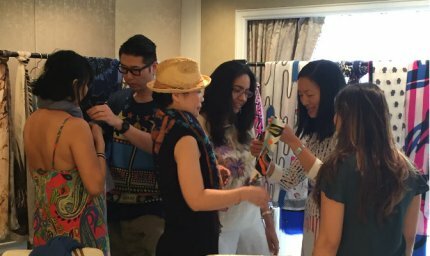 A wide range of exquisite and quality scarves and accessories were shown including Valentino, Fendi, Christian Lacroix, Roberto Cavalli, Jimmy Choo, Cromia, Lulu Guinness, Braccialini and more. Themed around welcoming summer days, scarves of different sizes were deliberately selected to demonstrate 10 tying methods that were easy and fun to carry with elegant touch. Practical tying skills such as using large-size scarves to create a stylish little poncho was as interesting. 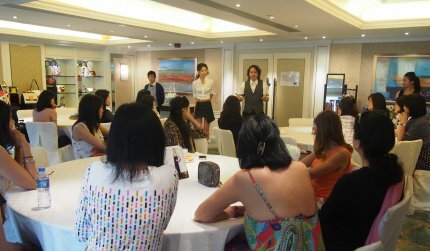 All the members enjoyed the demonstration and the exchange of ideas with the professional styling team.